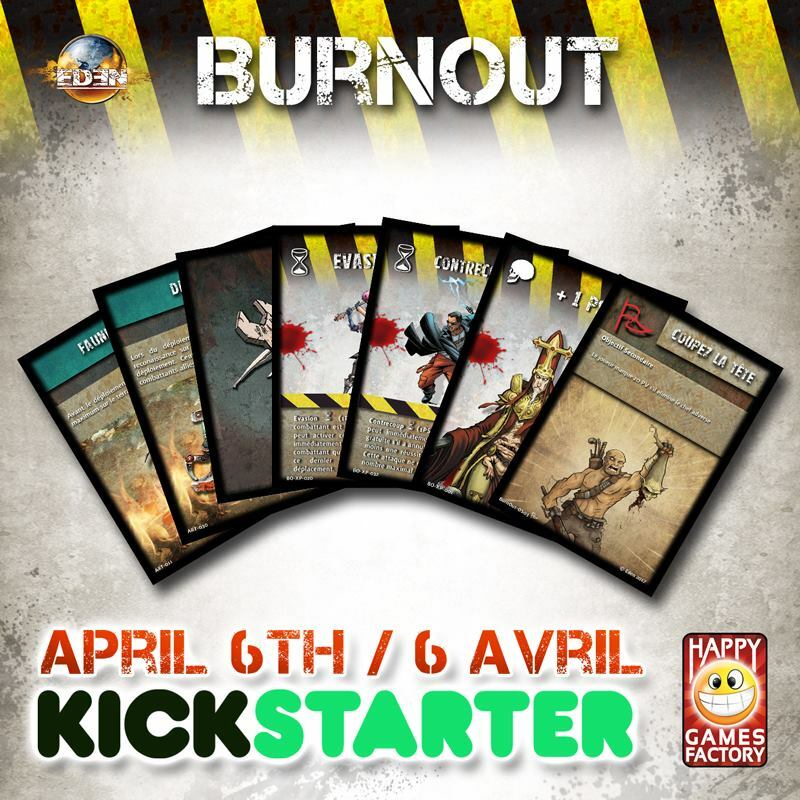 Could someone give me some info regarding what exactly Burn Out will be? There will be more information coming soon, we're preparing videos and so on. But I can tell you a bit about Burn Out. This gamemode introduces a lot of new features, with narrative play including sceneries and a campaign mode, and also rules for sceneries that allow to play on terrain heavy tables. Have you already wanted to play a post apoc game in city ruins, or on the catwalks of an old factory, or even between shipping containers of a commercial port ? Now you'll have the rules for it. But it's not for veteran players only, on the contrary this supplement is a good way to start Eden thanks to it's sceneries that are quick and easy to set up. Oh, and of course this will also be available in english. It's an add-on for Eden (not a new version) which allow you to play in campaign. It add rules for experience, equipment, wounds, etc. It will also add urban combat rules, with climbing and jumps, etc. The missions and tactics cards are remove, replaced by more quick installation and playing systems, because you can play up to 200pts of army. In few words : a game not for tournaments (more random and less previsibles tactics) but more fun and quick. Will the kickstarter be on the eden page? Has everyone Pledged? My son and I are both in for Hooked and really looking forward to this. Is there any update on the delivery of the Kickstarter? I’ve seen lots of posts on Facebook about deliveries, but nothing from backers outside France. For France, it's still in progress.